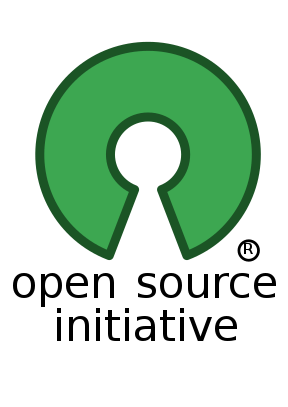 It’s early days, but it seems liberating the OpenOffice.org community from the contributor agreement and excessive vetting has helped more than sixty (yes, 60) people decide to try their hand at co-development on LibreOffice. This rare experiment seems to show that an open-by-rule community really does encourage participation. The big lesson for Project Harmony is that there are very real – and significant – disadvantages to demanding a contributor agreement as a precondition of participation. While I have no problem at all with Canonical innovating, I fear that part of their motivation in developing in isolation from the GNOME community is becuase otherwise they would be unable to maintain ownership of the resulting code – presumably this is one of the drivers for them initiating Project Harmony. So I’m interested in Dave’s analysis that suggests they may have failed to learn the lessons of history from other before them who have tried the same thing. I’m delighted and honoured to have been invited to deliver a keynote for European PostgreSQL developers at PGDay Europe 2010 in Stuttgart on December 6th. I’d love to see you there. Really excellent advice here on how to handle customer engagement. As one of the comments says this is a typical profile – both of attitude and skill – for a community manager, and that’s a job that is undervalued by some and in hot demand by others. I’ve used B&H off and on for many years, both in their quirky New York store and online, and every time has been a good thing. On a related note, if you are a community manager looking for a job, send me an e-mail with your background explaining why – I have a small list of people hunting for the perfect person to hire. This illustrates the wider truth that it’s impossible to regulate what’s illegal. The big weakness of dictatorial platform control – setting aside it’s abhorrent disregard of customer freedoms – is that it encourages an ecosystem to evolve beyond the influence of the platform owner. While Apple can deal with malware that sneaks into the AppStore (and it inevitably will), a philosophy that opposes uncontrolled software encourages dependence on software that has to stay underground to survive, with the consequent risk of it being exploited for evil as well as for innovation. We saw it in the Prohibition, we can see it in the ridiculous “war on drugs” and we’ll see it anywhere people assume “technical measures” can comprehensively succeed. Apple may tar it with a black brush but ultimately it’s a demon they invoked themselves. Florian Effenburger steps down as OpenOffice.org marketing project lead. He has always been the model of leadership in that role, patient, tolerant and firm when necessary, and I am sure he will be missed. His replacement Peter Junge is from Red Flag 2000, a Sun/Oracle partner in China developing the Red Office distribution of OpenOffice.org, and used to work in Sun’s Hamburg team on StarOffice. Just when you thought the abuse of customers and prospective customers of media products couldn’t get worse, this proposal for debt collectors to be deployed to collect money with menaces before any legal judgement is obtained comes along. Where are our legislators? Are they ignorant of the abuse, misinformed or corrupt? I can’t see a fourth explanation. Another of the key Solaris guys quits. A key figure in the development the ZFS storage appliance as well as of DTrace in Solaris kernel engineering, Mike was also the guy that shut down OpenSolaris for Oracle. I’m not sure there’s anyone left from the team of superstars whose new inventions made Solaris 10 so great. James Gosling calls Steve Jobs on a serious untruth he’s spreading about the Java port. Truth is we always preferred platform providers to manage the port of Java as it led to a much better developer and user experience all round to have all the twiddly bits (especially the UI) done by the platform owner. Charles leaves the OO.o Community Council and leadership of the national language team. As someone once said, Rehost And Carry On. I completely rely on TripIt to gather all the diverse information about my travel schedules, and the Pro add-on makes them monitor the flights automatically and keep track of all the points on the frequent travel programmes. Even if they weren’t offering me a miniscule incentive to write about it (which they are – entry in a draw), I would recommend anyone who travels once a month or more to splash out on Pro for TripIt. This link gets you a discount until the start of November. Apple has finally lost patience with Java and tossed it from the Mac. The update that just happened is the last they’ll bring out, and OS X Lion won’t include Java support. It’s been an off-and-on relationship for quite some time, rescued by 1:1 contacts each time the end has been threatened. This has to be a big negative for all the many developers who prefer to use a Mac than Windows to develop their Java code. Looks like the future for Ubuntu as a developer desktop just got several degrees brighter – does Steve Jobs ignore the Ballmer Imperative at his peril? First, the Java port in use includes a lot of Apple know-how that is not generally available (such as private UI interfaces) to make Java integrate well rather than using just X11. Second, it belongs to Apple, so Oracle would either have to receive a copy of Apple’s implementation or start again with all the UI and platform native code. Third, distribution would move outside Apple’s update mechanism so keeping it patched and secure would be difficult – a new installer and update mechanism will be needed. Fourth, the new AppStore rules will make sure there’s negligible demand for consumer Java on the Mac. This has to be a candidate for an IgNobel Prize. Despite promises from both the Conservatives and the Lib-Dems during the election to end the surveillance state, the crazy, abusive idea of making ISPs keep records of every UK internet connection and phone call for at least a year so that they can be used for investigations have been revived. Their earlier promises are still there on the web, and we still remember them, yet they have absolutely no shame. I am disgusted at these hypocrites. Given how well-funded the pernicious hydra FSFE (and the rest of us) are fighting actually is, I remain amazed that meaningful opposition is even possible. Huge kudos to FSFE (of which I am a proud member) for keeping this battle going against all odds, even despite Quislings. Filed under: Links |	Comments Off on ☞ Who Will Watch The Watchmen?